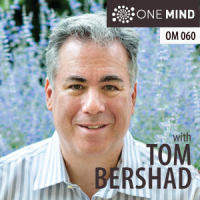 If you haven’t listened to part 1 of this special 2-part series on Sufi Meditation with About Meditation cofounder Tom Bershad, please start here. What is Sufi meditation and how do you practice it? 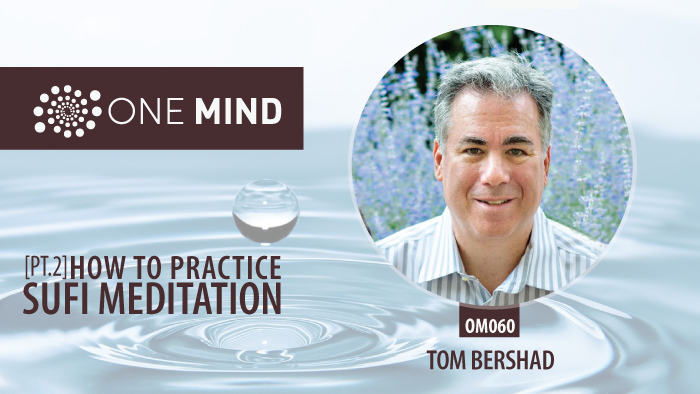 Aboutmeditation.com cofounder Tom Bershad has practiced the Sufi Way for over two decades. Tom started meditating as a young man when he formally took up Transcendental Meditation (TM) in the early ’70s. Now, over 40 years later, he’s logged thousands of hours of meditation. But for the last two decades, Tom has practiced Sufi meditation under guidance of a seasoned teacher. This special 2-part episode with Tom Bershad is a deep dive into Sufism and how to practice sufi meditation. In Part 1, we explore the goal of Sufism and in Part 2, Tom shares the extraordinary story of his visit to the tomb of the greatest Sufi teacher to ever walk the earth, Jalāl ad-Dīn Muhammad Rūmī. In Part 1, we explore a range of questions touching on the history of Sufism, the role of the teacher, the goal of the Sufi path, and how to practice Sufi meditation techniques. We also explore the initial steps that mark the beginning of the path in the Sufi tradition. Tom share’s captivating stories about the origins of Sufism that are surprising and how it relates to Islam. He also illuminates why and how Sufism is such a universal path. What is the (short) history of Sufism? Isn’t it an Islamic Mysticism? Do you have to be a Muslim in order to practice Sufism? What is the origin of the word “SUFI”? Is Sufism like any other path or tradition? How is it different? In Sufism, what are the basic beliefs or assumptions about REALITY that it teaches? How does the Path of Sufism work? What are the steps on the Way? Where do you learn Sufism? In part 2, we explore in more detail the meditative practices and technique that make up the Sufi Way. Tom outlines how Sufism was translated for Western values and how he met his own teacher. But the heart of this episode is the extraodinary story of Tom’s experience visiting the tomb of Rūmī, a 13th-century Persian poet, jurist, Islamic scholar, theologian, and Sufi mystic. Rūmī is considered the greatest Sufi teacher to ever live. In the West, most of us know Rūmī through his rhapsodic poetry, a meditation on the spiritual life and divinity which has stood the test of nearly 1,000 years. Visiting the tomb of Rūmī is considered an important milestone and experience for anyone who walks the Sufi Path. Tom’s story of his visit to Rūmī’s tomb in Turkey is otherworldly. Can anyone learn the Sufi Way? Why is Sufism sometimes considered a context of Energy Management? What is the goal of Sufism? What is meditation like in the Sufi Way? What are the basic practices of Sufism? What are Whirling Dervishes and who was Rumi? What is the significance of visiting the tomb of Rumi for someone in the Sufi Way? I came away from this interview with an enriched understanding of this ancient and revered spiritual path. Tom conveys the essence of Sufism as a path of love. The Sufi is devoted to supporting the life force of the universe through service, devotion, and above all, love. Hi Tom, thoroughly enjoyed this 2 part interview. The Sufi path is one I am keenly looking forward to exploring. I’m currently going through Idries Shah’s The Way of the Sufi. Excellent stuff. Could I take you up on your offer in this podcast to help find a Sufi guide. I live in Auckland, New Zealand. Would deeply appreciate any help or advice in finding a teacher.